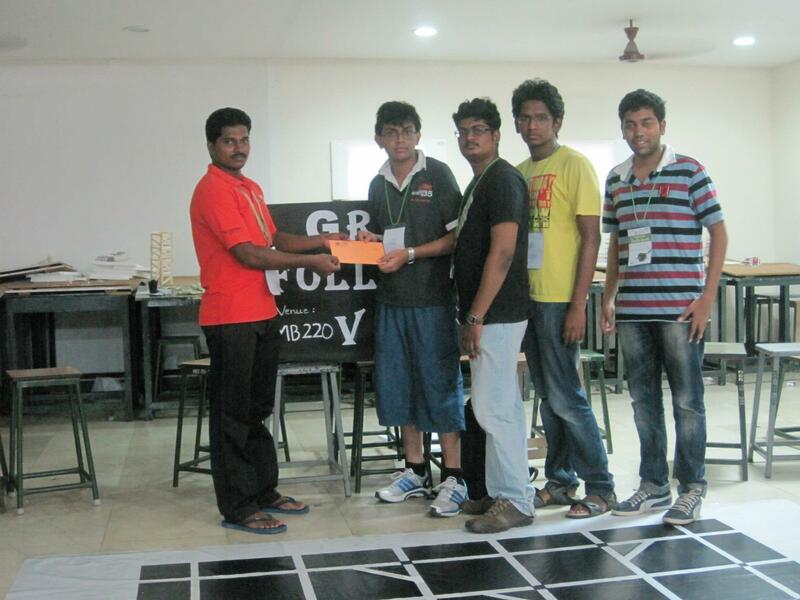 We competed in the VIT Gravitas Grid Solver competition which was held on 15th and 16th. We built a small bot using a CD cover as a base. 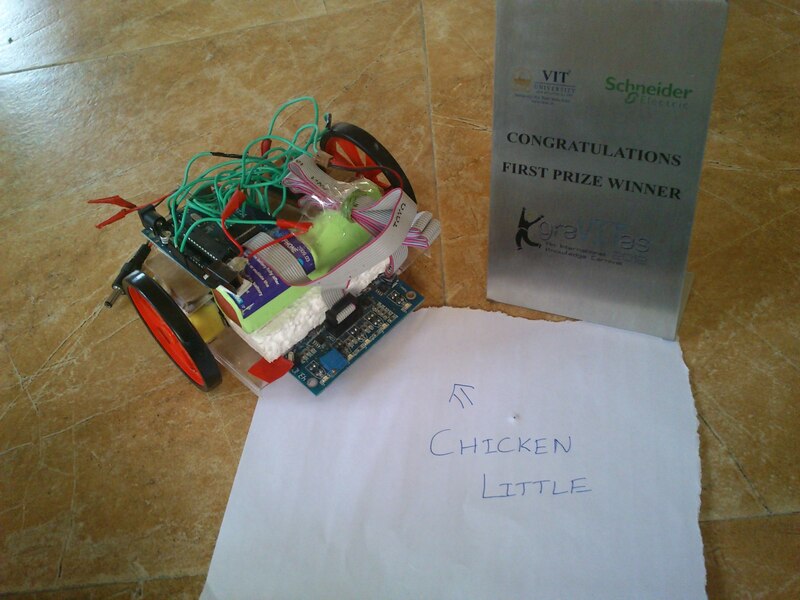 Mechanical foo was done by Vignesh Pandian of ECE. We used an Arduino board and a reflectance array. We programmed the bot from scratch. Prelims was a cake. However, the finals track was a little faulty at one region and the bot did not detect the line. We could not get it working in the trial time. We then hard-coded a delay and were prepared to manually intervene if the bot went ofcourse. We also slowed down the bot in this area. Thankfully, it worked correctly and we completed the course in the shortest amount of time without any penalties.